How does the remote assistance for the elderly and people with health problems work? In the course of their activities our users, involving mainly persons with health or mobility problems and the elderly, may face a number of crisis situations which may require intervention and help of someone else. Protectu offers a complex solution of a non-stop remote assistance. Thanks to the professional approach of our assistance center and advanced technological level of our smart device one can be sure that Protectu always offers its users quick and proper help. See below how the remote assistance process works.  Any user of the 24-hour assistance service Protectu, regardless of time and place, has the confidence in any situation that the assistance is always at hand. He/She carries a small, user-friendly smart device by means of which he/she is in contact with our assistance center 24 hours a day, 7 days a week. If the user finds himself/herself in an emergency situation, he/she pushes the SOS button on the smart device, and thus he/she sends the distress signal into the assistance center. In case the user is unable to call for help himself/herself, the device itself is able to recognize - thanks to advanced features - that the user is in a crisis situation. After receiving a mistress signal, an automatic localization follows and within 1 minute the user is contacted by a trained assistant. Communication between the user and assistant is carried out directly via the smart device which was used before for sending the distress signal. As the assistant is trained to solve crisis situations, has information on the user's health status, knows user's location and has all necessary contacts, he/she can solve the situation quickly and effectively and provide the user with proper assistance. Upon an arrangement with the user the assistant sends properly selected assistance to a specified location. Even in case that the user does not react, our assistants solve the situation. Family members whom the user authorized in his/her first choice contact list are contacted primarily. If the situation requires and family members may not arrive in person to a specific location, the assistant calls another public body that is able to solve the situation in a necessary way. If it concerns health or a life-threatening situation, the assistant forwards all information quickly and effectively to the emergency line 112. Our job is still not over after ensuring proper assistance. In the final step the assistant contacts the user again via the smart device to make sure the situation has been solved and the user is in good condition. Family members are then informed on the outcome of the situation.